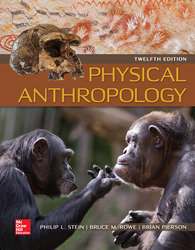 Physical Anthropology, has been thoroughly revised and updated to reflect the latest analyses, fossil finds, and discoveries in the field of physical anthropology. This full-color text examines human evolution and biology through photos, illustrations, and an exploration of insights gleaned from anthropologists. Students of this text will appreciate the dynamic relationship between humans and their environment over time.